How much time and money would you spend to make yourself an authentic Darth Vader costume? A few days? A hundred bucks? If you’re Jason Deveau, that doesn’t even begin to capture it. Deveau, 45, recently spent 18 months and about $4,000 to turn himself into remarkably convincing Darth Vader. Every item — from his gloves to his chest plate — is handmade. At 6-foot-7 without the costume, Deveau’s elevated black boots and Vader helmet allow him to tower over people. 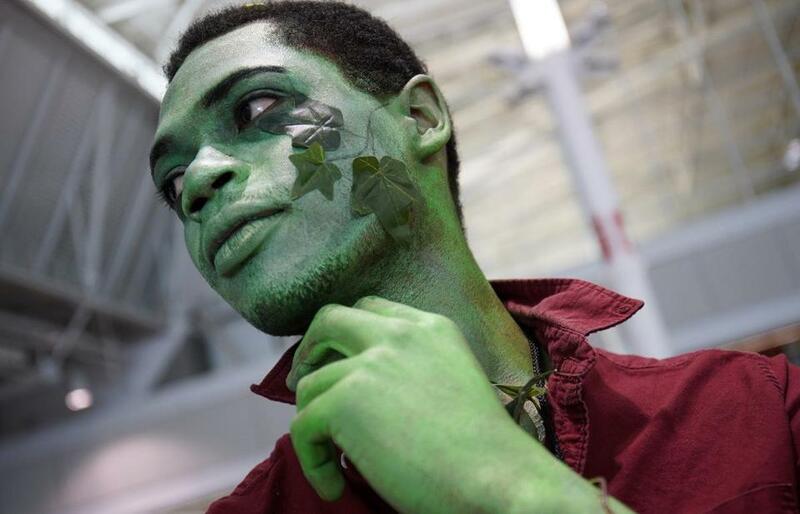 Deveau was among hundreds of sci-fi, comic book, and fantasy enthusiasts crowded into the Boston Convention and Exhibition Center yesterday for Fan Expo Boston (formerly Boston Comic Con). Among the common threads: a serious devotion to authentic costume-making (and costume-wearing) — whatever the cost. 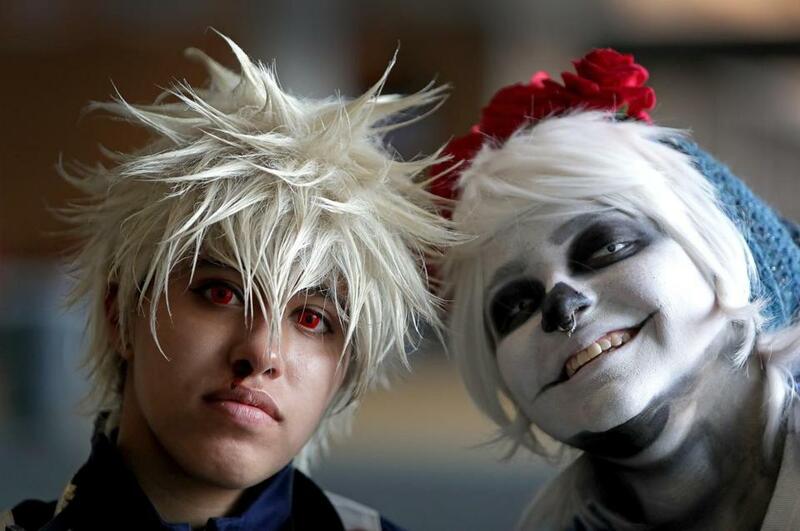 Other character costumes included Bakugou (left) and Sans. Serious fans can spend weeks, months, and even years handmaking a single costume. Some have a different elaborate getup for each day of the convention. Many spend hundreds, sometimes thousands of dollars, to craft tailor-made costumes of their favorite characters. Jennifer Catania, a special education teacher in Norwood, has dressed up as the iconic Princess Leia from “Star Wars” for the past two years. Catania is fairly new to the expo scene, but she is serious about her costumes. And it’s not easy. Catania belongs to the 501st New England Garrison, a local “Star Wars” costume fan club, that requires costumes to be handmade and subject to review. Specific designs, props, and colors must be used. Catania said she spends 80 to 100 hours on average researching and making each costume, and she has several. This year her “ceremonial” Princess Leia costume cost her roughly $350. But, she insists, making people smile makes her costume worth it every time. The intensity doesn’t end there. A 32-year-old man who lives in Vermont, for example, is dressed up as Deathstroke — a famous anti-hero in DC Comics — this weekend and has worked on his costume for three years. Made with 3-D printers, the entire ensemble cost $8,000. When he’s not showcasing his extravagant costume, he’s working as a salesman. 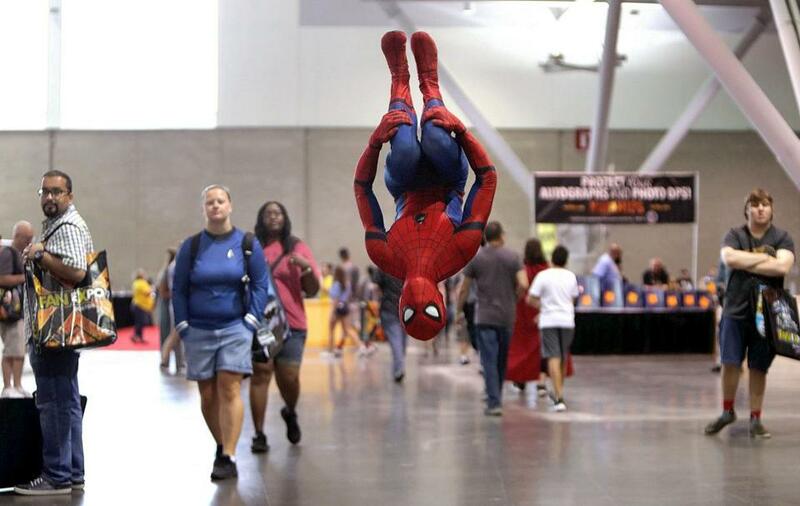 Colby Player, 22, of Manchester, N.H., practiced his spider moves while visiting Fan Expo. Alicia Lomba, of Chelsea, as "Harley Quinn" at Comic Con Boston. Jalen Latimer as "Poison Ivy." 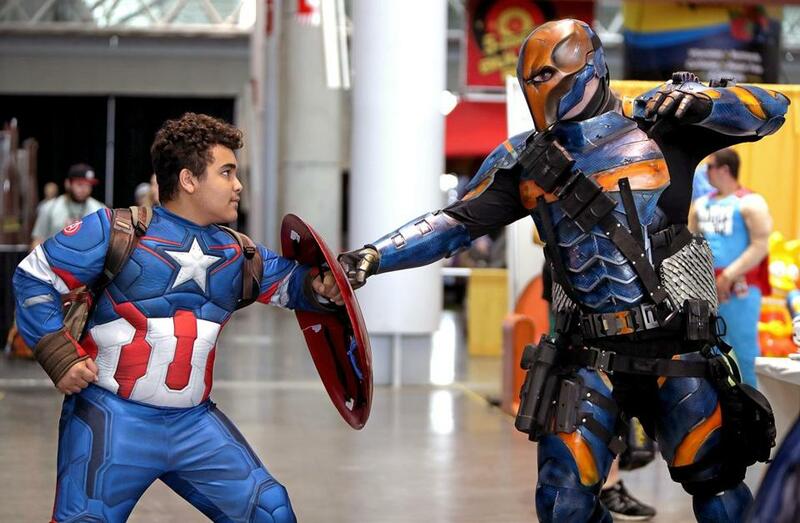 Left to right: Tyler Orban, 13, of Wedgwood, NJ, and "Deathstroke."